Meaningful and Engaging Work: In this position you will help businesses and non-profits connect to WKSU’s audience with their sponsorship message on multiple delivery channels including radio, digital and events. In this relationship building role, you will reach out to decision makers at local businesses, meet with them to understand their marketing needs and develop proposals that offer marketing solutions to help them grow their businesses. This is a high-performance position in that you will prospect, conduct needs assessments, create and present proposals, close the deal, write copy and service the account. While managing an account list you will also focus on developing new business. • Media sales experience is high on our list. In fact, 2+ years is what we are looking for. Sales in broadcast and digital is preferred. • Passion for public media and the power of radio Knowledge about the programming is beneficial. • Must have self-motivation and bring an entrepreneurial spirit. We’re looking for a self-starter with ideas and drive to succeed. • Excellent people skills – Proactive relationship builder with great listening skills and an easy rapport that is credible and trustworthy. • Communication skills - thoughtful and persuasive verbal and written communications skills. Can you create professional visual presentations and proposals? • An aptitude for analytics – the ability to gather market data, conduct research and use it to deliver effective presentations. • Time and resource management skills - prioritize effectively to achieve/exceed goals. • A collaborative personality. We are looking for a team member who values communicating with management and peers for feedback/insight. • 4 year college degree; Marketing, Business or related field is preferred; or a combination of education and experience equivalent to six years of experience in sales. • An opportunity for free higher education, including graduate level degrees such as an MBA, PhD, etc. The Program Director will contribute to the vision, mission and values of the Youngstown Area Jewish Federation by providing leadership, development, and direction to the Program Department of the Jewish Community Center of Youngstown (JCC) with standards of excellence. The Program Director will oversee the JCC’s portfolio of youth, adult, family, cultural arts, fundraising, grant management, and Federation agency programs, maximizing both return on mission and return on investment. Supervise, manage and develop all operations and staff of the Program Department, including youth, adult, family, cultural arts, fundraising, grant management, and Federation agency programs. Coordinate with program clients to ensure excellence. Clients include but are not limited to Federation agencies, area synagogues, United Way, local schools, community partners. Oversee engagement and coordination of community volunteers in support of JCC and Federation agency programs. Prepare budgets and engage in ongoing planning and business development. Efficiently develop lines of business to maximize revenue and mission. Maintain a high level of applicable professional knowledge, including market analysis, current trends and best practices through ongoing professional education, investigation and development of relationships with colleagues and official entities. Coordinate with Event Coordinator to provide excellence in presentation and experience. Coordinate with Facilities and Maintenance Director to ensure a high level of cleanliness and appropriate maintenance of program facilities and equipment. Coordinate with Marketing Director to ensure effective marketing of programs. Routinely evaluate programs, along with staff and committees, and make changes to ensure high quality and meaningful services for members and the general public. Develop meaningful relationships with members through supervision of on-going activities and day-to-day interactions. Communicate and cooperate with colleagues, members, and lay leaders as part of the senior staff team, including attending and facilitating staff meetings as needed. Adhere to all JCC and departmental policies. Quantify program impact of Program Department for use in marketing, operations and reporting. QUALIFICATIONS​: Minimum bachelor’s degree and professional management experience. Ideal candidate is a self-starter who excels at efficiently developing business, connecting with people and who strives for excellence in customer service. Familiarity with Judaic culture and Israel preferred. Candidate must be proficient with MS Office and Google Suite, skilled in writing and have knowledge in a related field. The Director of Advancement position is primarily responsible for managing a portfolio of major and leadership gift prospects in order to generate private gift support for the College of Communication and Information (CCI). CCI is the only college in the nation that offers degree programs from five distinct but interrelated fields of study – media, design, communication, information and digital technology. Kent State University was recently ranked in the Top Tier of Best National Universities by U.S. New & World Report. Kent offers a competitive compensation package, great benefits, and an excellent Wellness program. Develop and implement cultivation strategies in consultation with other professional development staff for generating private financial support based on assigned area’s goals and objectives. Identify, cultivate, and solicit prospects for major and leadership gifts. Assist in the University’s capital campaign; cultivate and solicit individuals within Ohio and in nationally assigned regions. Recruit and train volunteers to assist with fundraising efforts at the special gifts and annual giving levels. Serve as liaison between assigned area and Institutional Advancement regarding prospect activity. Manage major donor prospects, focusing on individual donors and coordinating with Corporate and Foundation Relations staff on corporate and foundation donors. May assist in planning and developing special projects relative to interests of prospects. May develop and coordinate marketing efforts to target key constituency groups; may oversee development of advertising media and conduct special promotional events. Provide development support to assigned college Dean/Director, faculty and staff as required. Serve on various campus and community committees, task forces, councils, etc. Qualifications: Bachelor’s Degree in a relevant field required and three to four years progressively responsible fundraising and/or sales experience required. Ability and desire to travel and participate in evening and weekend work-related activities are required. for the Director of Development role, reporting to the Executive Director. Founded in 1911, the City Rescue Mission believes in God's redemptive power to heal and change lives. This is a ministry with a rich evangelical history. Today, the Mission exists to meet the physical, emotional, relational and spiritual needs of hurting people in western Pennsylvania. As a Christian ministry, the City Rescue Mission proudly and uniquely stands apart from other human service agencies. Services are provided based on need, rather than ability to pay. All services are gifted to neighbors in need that seek help for their physical and spiritual needs. Through faith-based programming, guests and clients often experience personal and spiritual growth, resulting in newly-created possibilities for a renewed life. The City Rescue Mission's ministries are funded 100% from private sources. The City Rescue Mission receives no governmental support and operates with the highest degree of financial stewardship and accountability. The Mission is accredited annually by the Evangelical Council for Financial Accountability (ECFA) and adheres to its “Seven Standards of Responsible Stewardship.” The City Rescue Mission's certification through the Citygate Network confirms the Mission's commitment to excellence and ensures good stewardship of the Mission's resources. First and most importantly, as all staff are considered Evangelical Christian missionaries, you are an avowed Christian and in mind, body and spirit, embrace and accept the City Rescue Mission Doctrinal Statement. The foundation of this statement is that the Gospel consists of the doctrine of salvation by grace through faith in Jesus Christ’s atonement and not by works. You are a leader worth following. You possess gifts of strategy and competence anchored in a collaborative, authentic leadership and interpersonal style, and you will develop passion around building the culture of philanthropy to City Rescue Mission both within the organization and in our broader community. Utilizing a biblical model of stewardship, you are responsible for directing the ministry’s identification, cultivation, and acquisition of financial and material resources needed to operate City Rescue Mission. You will bring more than just passion for our mission, though; you will also come with proven results in leading a team, as both the Development Associate and Gifts Processor report to you. Your experience will include building sustainable individual and organizational giving systems, and being a well-respected colleague who can foster productive, healthy relationships with those you work for and alongside. You will be responsible for envisioning and leading the City Rescue Mission’s next phase of donor engagement and fundraising innovation. You will build resource development and philanthropy strategies properly aligned with our brand, messaging and Christian values. Finally, you are emotionally and culturally intelligent, socially aware, able to be “on” in the community even outside of work hours, and naturally able to relate to others and build mutually-beneficial relationships. Christ-centered, mission-focused and results-driven. You’re committed to building and strengthening one of the area’s most iconic missional brands, and infusing your efforts and style to assist in our vision to truly bring the love and grace of our Lord Jesus Christ into the lives of all we serve. You’re focused on driving the development team toward a common goal and don’t shy away from challenges as you work toward raising the bar and greater results. A visionary. You’re constantly assessing external and internal conditions that affect your priorities, your team’s work, and the donor base’s engagement with the ministry. You can quickly innovate and adapt when needed to ensure we’re continuously moving toward achieving our goals. You often see the path before others know it’s even there. A strong strategic thinker. You thrive on solving complex problems – you understand and analyze their root causes quickly and can stay focused on the big picture by quickly developing new solutions and engaging others to support you. An adept leader. You provide strategic vision and quickly motivate others to act. An authentic manager. You know it takes a thriving, cross-talented team to achieve results and you’ll leverage and develop talent to maximize impact. A clear communicator. You have an ability to listen actively and communicate professionally with a wide range of constituents both internally and externally. You can influence decision-makers toward actions benefiting our goals. Technologically savvy. You’re proficient in the use of computer software and fundraising software relevant to your work, with particular emphasis on our DonorPerfect software. Lead the creation and then own a comprehensive, actionable Donor Engagement and Development Production plan that on an annual and longer-term basis, guides your team’s strategies and tactics. In partnership with the Executive Director and Chief Executive Officer, provide authentic leadership and management of City Rescue Mission’s overall annual giving, major gifts, donor cultivation, donor relations and stewardship, and special events to support development goals. Possess noted capability of closing five-and-six figure commitments to brighten our mission in response to your invitation and a donor’s discernment, including with transformative initiatives and campaigns. Assess the needs of your team and bring both creative and traditional solutions to ensure your team is as productive and fulfilled as possible. Maintain a portfolio of major donors and prospects; develop engagement plans for each key donor and prospect, and involve leadership and others as necessary to ensure healthy donor relationships. Build a strong bond with colleagues, creating a true and lasting “marriage” between resource development and program teams. Ensure that all development strategies and tactics work hand-in-hand to produce a cohesive message and prominent City Rescue Mission brand within our service area. Be an inspiring communicator, capable of speaking publicly on behalf of City Rescue Mission and advocating the mission and opportunities for support. Represent City Rescue Mission in the community on boards, commissions and panels and appear at events that support the ministry’s engagement and fundraising goals. Work with leadership to create and manage the development team budget. Ensure that data is being leveraged appropriately in fundraising efforts, and maintain effective and consistent use of our contact management system (DonorPerfect). 5+ years of progressively responsible work experience in a non-profit fundraising or business development role. At least 2 years’ experience in a supervisory position with both cultural and results-oriented growth. A proven track record in closing gifts from individuals and organizations. Solid experience in strategic planning and transforming a strategic vision into action. A record of success driving and sustaining a change in an organization’s cultural performance; experience retaining constituents and expanding a revenue base. Excellent interpersonal skills that are apparent from our first meeting. A collaborative and flexible style, team player who is driven to serve others. Are you interested, or would like to nominate someone? BrightDot, a national nonprofit and ministry performance consulting firm, is pleased to be assisting City Rescue Mission in this important search. Confidential expressions of interest, for either yourself or another potential applicant, are welcomed. To engage the search process and learn about next steps, please contact Scott Koskoski, Partner & Performance Mentor at BrightDot, at (720) 648-2722 or scott@thebrightdot.com. Learn more: http://www.cityrescuemission.org. This position is located in New Castle, PA. Compensation is commensurate with experience and abilities. A supportive professional culture and attractive set of benefits accompanies this role. 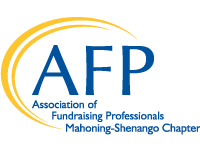 JOB PURPOSE: research, develop, plan, organize and direct all the fundraising and marketing activities including; the major gifts program, annual fund, planned giving, special events, capital campaigns, community outreach and social media marketing. The Director reports directly to the CEO and is the first point of contact for prospective donors and sponsors. The Director works closely with the Chief Executive Officer (CEO), leadership and the Board of Directors (BOD) in all development, fundraising and marketing strategies. a. Evaluate current activities, develop and implement structure to expand donor base. b. Identifies, cultivates, solicits and stewards donors and prospects to develop and manage effective relationships and partnerships with existing and new key donors. c. Assists donors accomplish their philanthropic goals and ambitions through a relationship with our organization. d. Secure major gits to support program development and mission related activities of the organization. e. Manage portfolio, systems and software to track and cultivate donors and prospects (e.g. Donor Perfect). f. Deliver face-to-face solicitations, and assist the BOD and other staff with their solicitation (e.g. provide portfolio development and help with donor communications). g. Acknowledge major donors through public and private recognition. h. Develop and implement a stewardship process and program for major donors. i. Track and report progress using specific Key Performance Indicators (KPI’s). j. Collaborates with leadership to develop a strong case for support for funding programs and initiatives of the organization. k. Acts as Staff Liaison for the Board of Directors’ Development and Marketing Committee, including training, coaching and engaging board members in development activities. a. Work with CEO and Development and Marketing Committee to brainstorm, discuss, develop and summarize ideas for the annual appeal. b. Increase donations to the annual appeal year over year. c. Maintain overall responsibility and accountability for ensuring the annual appeal outcomes are achieved each year. a. Identify and secure potential grants available from foundations, trusts or local, regional, state or federal funding sources aligned with the organization’s mission and priorities. b. Coordinate with support staff to regularly search and report grant funding sources. c. Develop relationships with program officers, leaders, community, foundations and funding sources to educate them on the mission of the organization and the needs of the business. d. Work with program managers and others to develop, write and submit strong grant proposals. e. Work with leaders in the organization to ensure effective implementation of grants and appropriate outcomes measurement and reporting. a. Develop and implement Brand Strategy. b. Develop the marketing strategy for new and existing programs and services in collaboration with leadership and program directors. c. Work closely with the organization’s program directors to meet organization growth objectives by providing the appropriate tools, materials and presentations. d. Manage events and other complex activities in support of development objectives. e. Conduct research, gather data, analyze information, and prepare reports and other documentation to support development activities. f. Manage the organization’s Social Media presence on all platforms. (e.g. LinkedIn, Facebook, Twitter) and direct programs to improve the social media reputation and recognition. g. Develop and deliver effective marketing and communication strategies for the organization. h. Perform continuous analysis of the competitive environment and consumer trends to proactively adjust marketing strategy to support the growth and philanthropy. a. Develop and implement a comprehensive strategic plan to grow and deepen relationships with current collaborators as well as expand with other agencies. b. Support leadership efforts to identify new and emerging trends and needs, align communication, and engage internal leaders and board members in our community engagement efforts. c. Partner with the leadership team to ensure marketing vehicles and social media facilitate the organization’s positioning in the community, increase brand awareness and build loyalty. This position does not have direct reports but is responsible to coordinate and oversee administrative and other support activities working with the administrative support team, Executive Assistant and others. 3.1 Meet or exceed fundraising goals to meet organizational goals and objectives. 3.2 Increase number of new donors and the size of donor gifts year over year. 3.3 Utilize CRM data base to fullest extent to generate new fundraising avenues. 3.6 Increase Social Media presence to educate on programs and services. 5.0 QUALIFICATIONS: To perform this job successfully, an individual must be able to perform each essential duty satisfactorily. The requirements listed below are representative of the knowledge, skill, and/or ability required. Reasonable accommodations may be made to enable individuals with disabilities to perform the essential functions. 5.1 Skills and Abilities: Strong background in development, fundraising and grants with a demonstrated (measurable) track record of cultivating major gifts. Possesses strong project and time management, and organizational skills. Plan and implement long and short-term development initiatives in conjunction with the strategic planning process. 5.2 Education and/or Experience: A Bachelor’s Degree in business or nonprofit administration or equivalent. Master’s degree preferred. A minimum of five (5) years’ experience directing and leading fundraising and marketing activities, including implementing a major gifts program or a capital campaign. CFRE preferred. 5.3 Language Skills: Ability to read, analyze, and interpret general business periodicals, professional journals, technical procedures, or governmental regulations. Ability to write reports, business correspondence, and procedure manuals. Exceptional interpersonal skills with ability to effectively present information and respond to questions from groups of managers, businesses, donors and all potential prospects. 5.4 Mathematical Skills: Ability to add, subtract, multiply, and divide in all units of measure, using whole numbers, common fractions, and decimals. Ability to compute rate, ratio, and percent and to draw and interpret bar graphs. 5.5 Reasoning Ability: Ability to solve practical problems and deal with a variety of concrete variables in situations where only limited standardization exists. Ability to interpret a variety of instructions furnished in written, oral, diagram, or schedule form. 5.6 Computer Skills: To perform this job successfully, an individual should have knowledge of Database software; CRM system such as Donor Perfect, Internet software; Spreadsheet software and Word Processing software; Electronic Health Record. 5.7 Personal Qualities: Maintains and upholds Community Counseling Center's policies, respects confidentiality, and exhibits a professional demeanor at all times while at work. Act 33 and 34 Clearances required. Must have a current driver's license and vehicle insurance. While performing the duties of this job, the employee is frequently required to sit and talk or hear. The employee is occasionally required to stand and walk. The employee may be required to go up and down stairs when entering businesses, donors, and prospects. The employee must frequently lift and/or move up to 20 pounds. Specific vision abilities required by this job include ability to adjust focus. The employee is this position must be able to drive. Travel is may be required up to 75% of the time and is primarily local. This full-time position requires flexibility to work non-traditional hours (evening and weekend work) as business dictates. This description is written to generally define the role of each person’s job to help the employee understand the expectations of the agency. The essential functions expected results, personal expectations; qualifications, training, physical requirements and work environment may not be all inclusive and were current as of the date of the most recent revision. The Community Counseling Center may add or delete items as the need arises. You became an employee of the Community Counseling Center voluntarily and your employment is at will. "At will" means that you may terminate your employment at any time, with or without cause or advance notice. Likewise, "at will" means that CCC may terminate your employment at will at any time, with or without cause or advance notice, as long as we do not violate federal or state laws.